We’re moving our primary web site to www.rikwright.com and retiring this blog. For news and updates, please visit our Facebook page, You can also subscribe for email updates. We hope to see you out at a show soon! This entry was posted in Uncategorized on September 26, 2016 by Sunrise Pixels. Fundamental Forces is so excited about this show tomorrow night! SUBSTATION 8 p.m., doors open at 7. You get 3 bands – Diminished Men, Moraine and FF for $6. We’ll even throw in some psychedelic video art by Lasers Barnebey and download cards good for 50% off our concert recording. C’mon, you’d rather be talking about it than hearing about it, right? This entry was posted in Performances, Promotions on September 20, 2016 by Sunrise Pixels. We had a full and appreciative house last night at Egan’s Ballard Jam House. Wonderful to see many faces that I haven’t and a long time, and to greet so many new faces as well. Thank you all so much for sharing the evening with us. It was wonderful to spend the evening with such a joyous gathering of people. Next up is the Release show for the “Continua” live concert recording at SUBSTATION on Wednesday night (Sept. 21). We’re playing with 2 amazing bands- Diminished Men and Moraine. This is not a show to be missed! This entry was posted in Fan Submissions, Performances, Photos on September 18, 2016 by Sunrise Pixels. For the SWEET, we’ll be having a pre-release party for Fundamental Forces’ next CD on September 17th at Egan’s in Ballard. It’s been a few years since we played Egan’s, and many of you have asked when we’ll be there again – so the answer is next Saturday. If you haven’t been to Egan’s before, it is a wonderfully intimate club with seating for only about 40 people. We have sold the room out several times in the past. So if you’re interested, I highly recommend you call or email the club to make a reservation. Next up, for the PRETTY, on September 19th we will be officially releasing “Subtle Energy”, a collection of tracks we recorded back in January, when we went into the Jack Straw Cultural Center studios to perform on the Sonarchy Radio program. I have an affinity for how the clarinet and electric guitar sound in unison, and so Jim and I decided to transpose and rearrange many of our tunes from alto and baritone saxophone to clarinet and bass clarinet. We had so much fun playing these darker, quieter versions for the Sonarchy show that we went back into the studio the next day and recorded the material straight through a second time. That session became this new CD “Subtle Energy”. 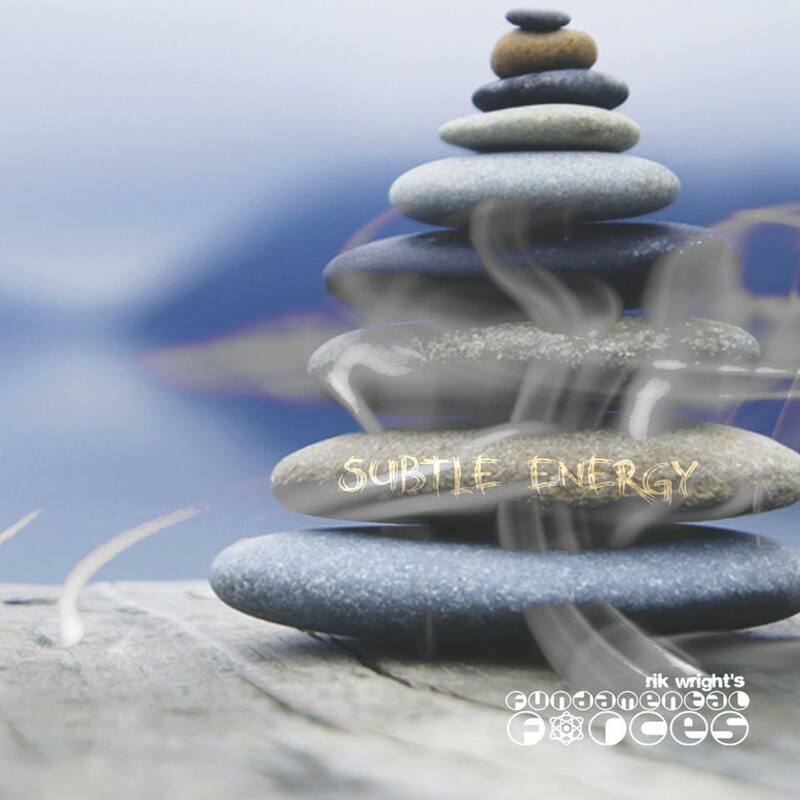 “Subtle Energy” should be available via iTunes, Amazon, CD Baby, Spotify, Google Play, etc. on September 19th. However, you can get an early release copy for free by coming to the Egan’s show on the 17th. Or, you can actually grab a pre-release download off of our BandCamp site. Speaking of downloads, for the SAUCY we have another release coming this month as well. In the spring of this year, Fundamental Forces was approached to do a spring residency at Substation, a new venue in Seattle. The band was given free rein to present whatever music we wanted to perform, with no stylistic expectations or restrictions. We took the opportunity to step outside of our typical boundaries and give a freer, heavier, more psychedelic performance. We do this occasionally when we are able, we use lots of effects on the reeds and perform more rock-oriented versions of our heavier tunes. This time around, Steve Kennedy-Williams was at all three shows to record the proceedings. He’s now released the best tracks from those shows as “Continua”, available exclusively as a digital download from his Scoobie Tracks web site. You can hear and purchase them here. In fact, just because you took time to read this, you can get 30% off of the price of the album by entering the code “SeptemberCart30%Off” when you check out. Next, for the RAUNCHY, on September 21st we’re celebrating the release of the “Continua” concert recording with an all-out party at Substation, where we originally recorded it. Joining Fundamental Forces will be the mighty Moraine and the wonderful Diminished Men. There will also be some psychedelic video art, and we’ll be shooting video of the whole thing to post at a later time. Finally, I have to say that after all this, I’m looking forward to a mellow winter. I’ll be hopefully slowing things down a bit and we’re likely to be performing less outside of our “house band” gigs at Vito’s and Capitol Cider, where you a get a bit of a “watered down” Fundamental Forces mixed with odd standards. So if you’d like to catch us in a full blown concert setting, I highly recommend you attend one of these shows. I don’t know the next time we’ll do a showcase set like these. It’s not likely to be soon. It will be lovely to see you this month. This entry was posted in Live Recordings, Newsletter, Performances, Promotions on September 8, 2016 by Sunrise Pixels. Back in the spring of this year, Fundamental Forces was approached to do a spring residency at Substation, a new venue in Seattle. We were given free reign to present whatever music we’d like to perform, with no stylistic expectations or restrictions. What unfolded is documented here using just room mics and a feed off of the live mixing board. It’s not high fidelity compared to our CDs, but the there is an undeniable spirit in these performances that I had to release in some form -in this case via digital download from Steve Kennedy-Williams Scoobie Tracks site. This entry was posted in Live Recordings on September 3, 2016 by Sunrise Pixels.